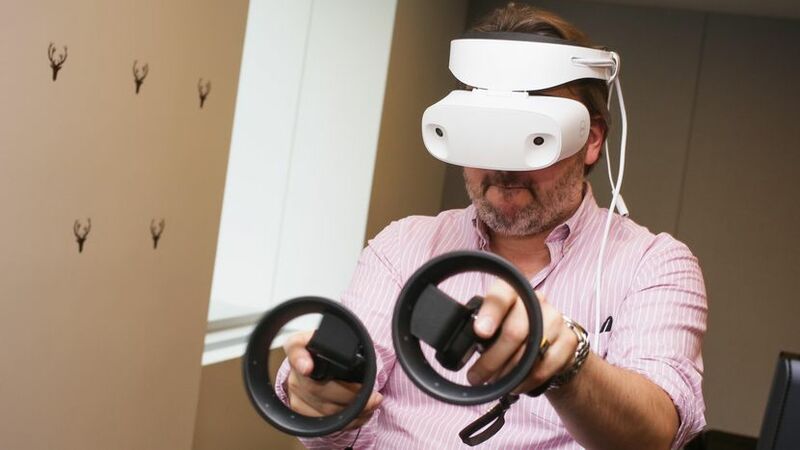 Dell’s first handset for Microsoft’s Windows Mixed Reality platform has been unveiled, with the price tag of $350 for the handset and $540 along with motion controller. The handset is called Visor. Dell announced the Windows Mixed Reality headset at IFA in Berlin. Windows Mixed Reality, which was formerly known as Windows Holographic, is a mixed reality platform – VR and AR – developed by Microsoft. It features an AR operating environment in which any UWP app can run. It is a platform that works by enabling applications in which the real-world elements are incorporated with virtual elements. The Visor joins the VR head-mounted device (HMD) market dominated by Acer, Lenovo and HP, and marks Dell’s debut in the VR market. The comfortable and adjustable flip-up Visor makes it easy to transition between the virtual and the real without removing the device. The headset is sleek, comfortable and supports higher resolutions. Given Dell’s entry into the VR headset market bundled with new experience altogether, the assumption is that the price tag is on the higher side when compared with other, established VR headsets in the market – HTC Vive, with necessary accessories, is sold at $599, and the Oculus Rift with a controller is sold for $399. The Visor is designed as a flip-up for convenient transitions, and the headset itself is designed prolonged wear. It features a well-cushioned headpiece with face padding, and a thumbwheel for adjusting the headset to the required angle. It is designed in such a way that the headband pulls the pressure off your nose and cheeks, making it more comfortable to use. The Dell Visor will boast resolutions higher than the HTC Vive or Oculus Rift. Visor relies on two LCD panels for each eye, as opposed to one each on other models. On the internals, the Visor requires an Intel Core i7 processor with six cores or more, 16GB of system memory, 10GB of free space and an NVIDIA GeForce GTX graphics card.